Toxic air is a global epidemic – one that is responsible for the premature deaths of 6.5 million people each year, making it the fourth leading cause of death in the world. This “invisible killer” needs to be brought under control by every means at our disposal. Scarily, it’s not only the outdoor air pollution we can see and, in some cases, smell, but also the indoor air quality that has the potential to harm our health. With over 90% of the world’s population breathing air that violates air quality guidelines, according to WHO, this issue is catastrophic and wide reaching. While developing nations publicly grapple with outdoor air quality standards – countries like China and India are visibly engulfed in “toxic air”, according to a recent study, air pollution resulted in 2.5 million deaths in India in 2015 alone. Developed economies are not immune as they fight against indoor air pollutants made more toxic by airtight homes. 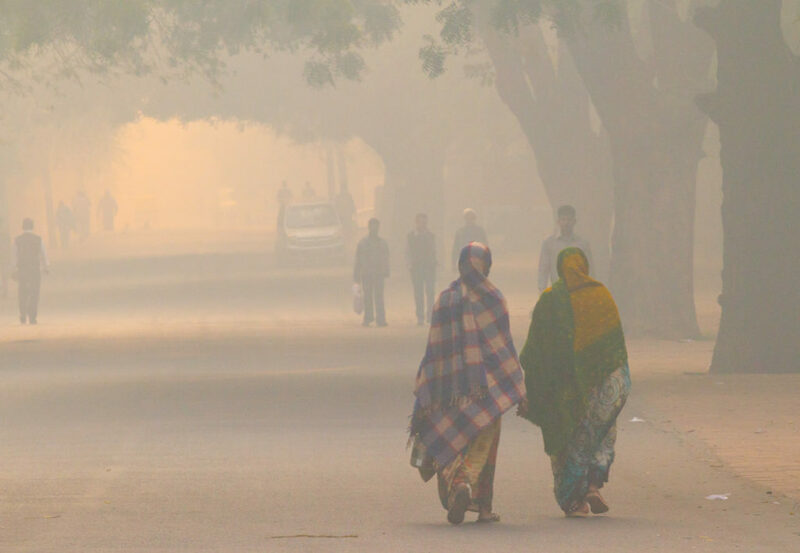 Daily street life – and all outdoor activity – is severely impacted by extreme smog conditions during the early mornings in New Delhi, India, where air quality is considered some of the worst in the entire planet. The developing world has long been aware of outdoor air quality issues. The term “smog” was coined in the early 20th century to describe the sooty/smelly atmosphere created by “smoke” and “fog” and was cemented in the minds of the western world when the “Great Smog” engulfed London in the 1950s. The freak weather event lasted a week, turning coal fumes into a deadly sulfuric acid, resulting in the immediate deaths of 4,000 Londoners. This crisis ultimately led to the Clean Air Act of 1956. However, the toxic air lesson appears to be a tough one for regulators and politicians. More than 60 years later, Great Britain continues to fall afoul of clean air regulations and ClientEarth, an organization fighting for a cleaner, more sustainable planet, is suing the government for the third time (it won the previous two lawsuits) for failing to get it right. In addition, travel destinations are being seriously impacted as tourists actively avoid heavily polluted cities (and seek to leave their own). An obvious example comes from China, where travel companies are actively marketing “lung-cleansing” trips. According to Ctrip.com, a popular online travel website, searches for terms like “smog escape,” “lung cleansing” and “forests” have tripled. Smog-avoidance tourism is becoming a major theme and winter travel destinations like the Seychelles, Maldives and Iceland are being touted as getaways with the freshest air, according to Ctrip.com. Growing scientific evidence on the many dangers of both indoor and outdoor air pollutants, combined with the realization that, even with regulations and limits in place, “clean air” isn’t necessarily guaranteed, has opened individuals’ eyes to the need for protection. Today, the term “particulate matter” (PM) – the microscopic solid and liquid matter in our Earth’s atmosphere that are small enough to be inhaled deep into the lungs – is commonplace. Particulate matter is invisible to the eye and measures less than 2.5 micrometers in diameter (for a visual, consider that a human hair is 70 micrometers in diameter). The particles come from vehicle exhaust, construction dust, soil, industrial factories, wood burning, etc. – emissions that are controlled by human hands. The many dangers from particulates – asthma, respiratory distress, heart attacks and more have also become common place. This public health emergency also has a very real economic liability for businesses and governments. According to the World Bank, indoor and outdoor air pollution cost the global economy $225 billion in lost labor alone in 2013. And a study by Leibniz University and the Columbia Business School showed that poor outdoor air quality is having a negative impact on job performance – even if you work a desk job. Researchers found that a minimal increase in outdoor particulates (which fluctuate continuously throughout the day) reduced the propensity for stock traders to make a trade by 10% – the same decrease as observed from a sunny day to a rainy day. With these huge economic costs being quantified, Thierry Malleret, economist and expert in hospitality and wellness, recently summarized in the Wellness Edition of his Monthly Barometer (written exclusively for the Global Wellness Institute): “The cost-benefit of controlling pollution is now so obvious that policy-makers will begin confronting vested interests to curb pollution, particularly for vehicles and power plants.” Malleret says that there will be devastating consequences to the valuations of companies and countries that continue to pollute. 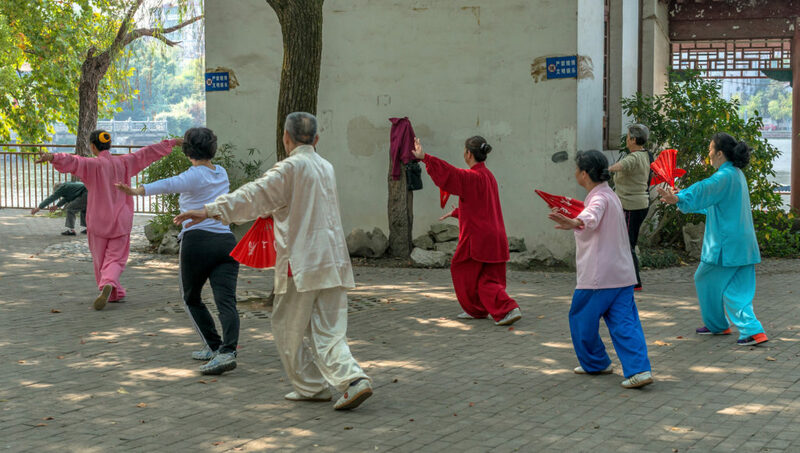 In addition, the science now shows that exposure to air pollution on city streets is enough to counter the beneficial health effects of exercise in adults over 60. The findings, published late 2017, show that short-term exposure to traffic exhaust on a busy street cancel out the positive effects a two-hour stroll would otherwise have on older adults’ heart and lungs. The bad news continues. Another recent study showed a troubling connection between mental health and the inhalation of fine particulate matter. Research undertaken by the School of Public Health at the University of Washington examined survey respondents over a period of 12 years living in neighborhoods where fine particulates measured between 2.16 to 24.23 micrograms per cubic meter. The study looked at feelings of sadness, nervousness, hopelessness, etc. and found that the risk of psychological distress increased alongside the amount of fine particulate matter in the air. For example, in areas with high levels of pollution (21 micrograms per cubic meter), psychological distress scores were 17 percent higher than in areas with low levels of pollution (5 micrograms per cubic meter). The current U.S. safety standard for fine particulates is 12 micrograms per cubic meter. Science now shows that exposure to air pollution on city streets is enough to counter the beneficial health effects of exercise in adults over 60. 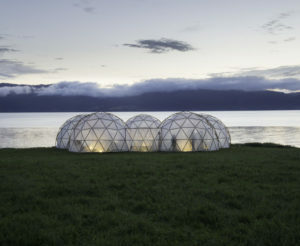 Action through art: In Norway, an art installation in 2017 called “Pollution Pods” captured the unique scents of the world’s most polluted cities, including London, New Delhi, Sao Paulo and Beijing, forcing guests to experience what millions endure every day because of the human impact on the atmosphere. Back to the future: Salt…One combatant in the fight against air pollution damage comes in the form of a very old tradition – basking in natural salt caves and inhaling salt (halotherapy). Europeans turned to this practice centuries ago and now studies have confirmed its benefits for asthma and other lung disease sufferers, there’s been a resurgence. Spas are recreating the natural salt cave microclimate using technology that infuses pure salt and negative ions into the air and home salt-inhalation devices are also on the rise (some examples are Biova’s Salspiro (Germany), which uses Himalayan salts, and Healovation’s AirSalter (USA), which uses Dead Sea salt). Personal air pollution sensors: Tiny pocket-size sensors, like Myriad Sensor’s PocketLab, measuring carbon dioxide, ozone levels etc., particulate matter will become ubiquitous, warning individuals of problem areas. Also – in our data-driven world – a crowdsourcing of this data will enable real-time and accurate measurement of air quality, flagging alerts to everyone. Smart, personal air purifiers: Combine a sensor with a personal air purifier and a smartphone app and you have Airbubbl, a new product that focuses on cleaning the air that is polluting the inside of your car (studies show that sitting in traffic for an hour can be equivalent to smoking two cigarettes); and WYND, which promises to “create a bubble of clean air around you by removing dust, allergens, smoke and pollution from the air wherever you go…freshening the air in a car, plane, train or hotel room! 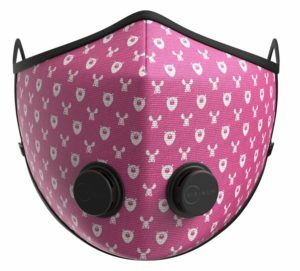 Fashion fights back: Urban air pollution masks from Swedish-based Airinum are starting to make headlines by bringing a very Asian-centric trend to Europe while promising more protection and comfort. There’s even a shirt that changes colors – monitoring pollution in real-time – and the promise is clothing that eliminates pollution before it hits your skin. Anti-pollution skin care regimes: Urbanites are the most at risk of expedited aging from the fine particulate matter found in air pollutants and there are many products coming to the rescue – running the gamut of affordable to ultra high-end, including: REN’s Flash Defense Anti-Pollution Mist, Tula’s Urban Defense Hydrating Mist, Kiehl’s Cilantro & Orange Extract Pollutant Defending Mask, Pond’s Pure White Anti-Pollution, to name just a few. According to a recent report from the Global Wellness Institute, “Build Well to Live Well,” consumer demand for wellness lifestyle real estate and communities is on the rise. In the U.S. alone, there are an astonishing 1.3 million potential buyers each year. In addition, homes designed to improve people’s wellness are now commanding 10-25% higher price premiums. As we work to create cleaner air in homes, hotels, office buildings and retail spaces being built around the world, there are plenty of options for building operators to work to clear the air no matter how old their buildings or HVAC (heating, ventilation and air conditioning) systems might be. Basic maintenance and cleaning of air ducts can go a long way to prevent air contamination, and, of course, any building – old or new – can get its own WELL Robot (as presented at the Global Wellness Summit by Partnering Robotics). 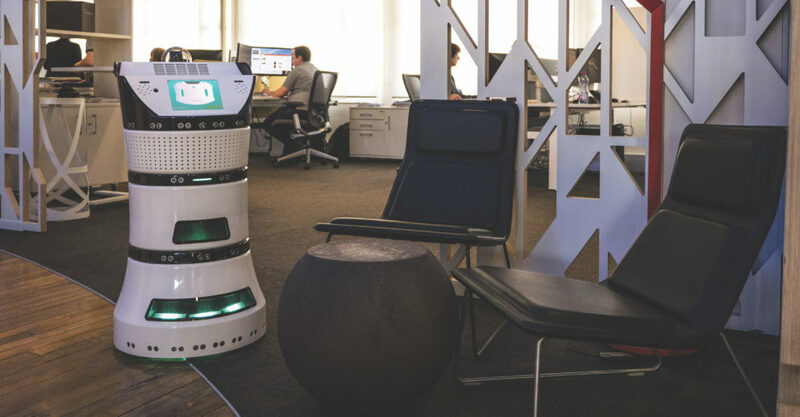 This interactive, smart, mobile robot cruises the interiors of malls and office buildings, gathering data on air quality and other environmental issues to help better modulate it for the humans living in it – and all that data can be used to help building managers effectively refresh and recirculate air – while saving energy! WELL Robot: This interactive, smart, mobile robot cruises the interiors of malls and office buildings, gathering data on air quality and other environmental issues to help better modulate it for the humans living in it. ©Partnering Robotics. In the past, buildings with poor ventilation and air filtration have actually made us sick. A key aim of today’s modern architecture is to design and build structures that not only keep us healthy and well, but are also sustainable, efficient and long lasting. Standards, best practices and certification programs have evolved with wellness in mind, including the WELL Building Standard, pioneered by Delos (USA), a company twhose mission it is to transform homes, offices, schools and other indoor environments with health and wellness at the center of design and construction decisions. As the demand for healthy building continues, more relevance is being placed on these standards. Two others making an impact include FitWel, created by the Center for Active Design (USA), and LEED (Leadership in Energy and Environmental Design), an U.S. organization focused on providing a framework for building efficient, healthy, cost-saving green buildings. Urban areas suffer most from the effects of pollution and one of the best way to fight it is by planting trees (because they convert carbon dioxide into oxygen). Expect more greenery to be incorporated into buildings, like vertical forests and living walls inside and outside of buildings. Heathrow Airport has a “Garden Gate” in Terminal Three made of 1,680 plants, including the English native Ivy and Peace Lily – the “eco-sanctuary” helps passengers de-stress and will also have a positive effect on the air they breathe. 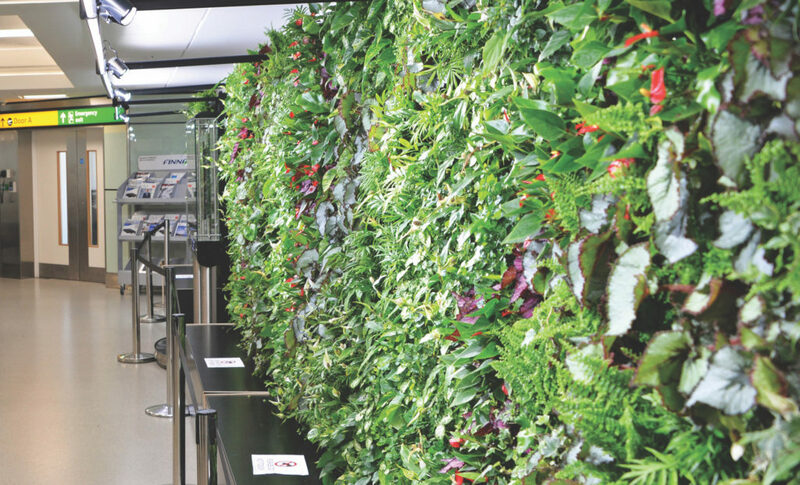 Heathrow Airport has a “Garden Gate” in Terminal Three made of 1,680 plants, including the English native Ivy and Peace Lily – the “eco-sanctuary” helps passengers de-stress and will also have a positive effect on the air they breathe. The fight to purify the air we breathe is heating up everywhere – individuals, activist organizations, technologists, entrepreneurs, start-up companies and familiar brands are no longer willing to wait for or rely on governments to “clear the air.” Instead health and wellness conscious, environmentally-aware consumers will take matters into their own hands, limiting the well-documented health risks associated with the inhalation of fine and ultra-fine particulates, considered the deadliest form of air pollution to their ability to penetrate deep into the lungs and even blood streams. Concerns about air pollution will have a far-reaching impact on wellness and lifestyle decisions in the future. We predict boycotts of companies and industries that contribute to the problem and increased support for those that work to solve it. A clear winner will be spa and wellness destinations that promote themselves as havens from air pollution, while travel to “pollution-free” zones will increase. And, as the air quality in many metropolitan areas across the globe continues to degrade, we expect to see a rise in “smog-avoidance” tourism – a trend observed first in China – especially among developing countries with a rising middle class with more disposable income to spend on their health and well-being. Dr. Murray has a point – it would be great to be able to rely on policymakers and industry leaders to come to our rescue – but it seems more and more that individuals will be tasked with getting their own “clean air act” together. The tools to not only fight air pollution – but also to play a part in reducing it – are already readily available. And, given the gravity of the situation, there’s no better time than the present to start taking back your clean air!